A Gala nursery could go to the top of the class after making the shortlist for a national education award. Langlee Early Years Centre is a finalist for the Scottish Education Awards 2018, which celebrate the hard work and achievements of educators. The Early Years Centre has been shortlisted for the Family and Community Learning award, and will now compete against two other schools at the prestigious awards ceremony in Glasgow in June. Langlee will battle it out with King’s Oak Primary School from Inverclyde and Todholm Primary School, Renfrewshire to see who gets top marks. The Family and Community Learning award recognises early learning, schools and CLD settings where ‘a vibrant and progressive culture of continuous innovation has been developed’. Langlee Early Years Centre has been recognised for its efforts in family learning through their activities to improve outcomes for particular disadvantaged children, young people and families, which include their weekly drop-ins and family learning programmes. 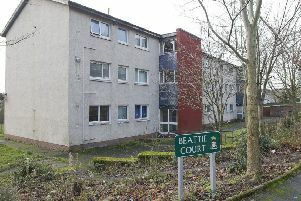 To reach this stage, the centre has already been assessed by a panel of experts, and endorsed by Scottish Borders Council. All finalists will be visited by judges, who will then decide the winner. Run by Media Scotland Events, and sponsored by the Daily Record and Education Scotland, the Scottish Education Awards celebrate the hard work and success which takes place in education establishments throughout Scotland. Alan Armstrong of Education Scotland added: “Each year the Awards highlight innovative and effective practices taking place across Scotland’s learning establishments. The Awards allow us to recognise and celebrate the successes of our children and young people, together with practitioners and all those who support their education. The awards ceremony takes place at DoubleTree by Hilton Glasgow Central on June 6.